The mere thought of sleeping on the streets can be stressful. Being forced from the place you’ve called home for years to live in a car…or worse the streets often comes as a surprise. No one imagines that they’ll be homeless, but this is a sudden reality for some. To reduce some of this stress for case managers and clients we’ve compiled a list of the most dependable homeless shelters in Houston. If you are needing emergent housing these should be your very first options. Below you will find Houston homeless shelters who are willing to accept men, women, and children into their facilities. Each of these homeless shelters in Houston is willing to assist your family although some have waiting lists. Prior to visiting any shelters, it’s always best to call before showing up. Shelters also go out of business, which is another reason it’s important to call first. If any of the shelter numbers listed below have gone out of business or phone numbers are incorrect, leave a comment below and we will make corrections to that listing. 1.5.1 What is the intake process at Open Door Mission? 1.5.2 Where is Open Door Mission located? 2.1.1 How does intake work at Salvation Army Conroe? 2.1.2 What services are offered here at Salvation Army? 2.1.3 Where is the shelter located? 2.4.1 What is the intake process at Sally’s House? 2.4.2 What services are offered at Sally’s House? 2.4.3 Where is Sally’s House located? 2.5.1 Where is Bethel Home for Women located? 2.6.1 How does intake work at Roz House? 2.6.2 What services does Roz House offer? 2.6.3 Where is Roz House located? 3.1.1 How does intake at Bay Area Homeless work? 3.1.2 What services are provided at Bay Area Homeless? 3.1.3 Where is Bay Area Homeless located? 3.2.1 How does intake work at Family Promise? 3.2.2 What services are offered at Family Promise? 3.2.4 Where is Family Promise Montgomery County located? 3.3.1 How does intake work at Family Promise Humble? 3.3.2 What services are offered at Family Promise of Lake Houston? 3.3.3 Where is Family Promise of Lake Houston located? 3.4.1 How does intake work at Family Promise? 3.4.2 What services are provided? 3.4.3 Where is Family Promise Clear Creek located? 3.6.1 What is the intake process at Star of Hope Family? 3.6.2 What services are provided at Star of Hope Family? 3.6.3 Where is Star of Hope Family located? 4.1.1 How does intake work at Mission of Yahweh? 4.1.2 What services are offered at Mission of Yahweh? 4.1.3 Where is Mission of Yahweh located? 4.2.1 What services does Santa Maria Hostel offer? 4.2.2 Where is Santa Maria Hostel located? 4.3.1 What is the intake process at Salvation Army Family Residence? 4.3.2 What services are offered at Salvation Army? 4.3.3 Where is Salvation Army located? 4.4.1 What are the requirements for Madge Bush? 4.4.2 What is the intake process for Madge Bush? 4.4.3 Where is Madge Bush Transition Living Center located? 5.1.1 What is the intake process at Bridge Over Troubled Waters? 5.1.2 What services are offered at the Bridge? 5.1.3 Where is the Bridge Over Troubled Waters located? 5.2.1 How can The Landing help? 5.2.2 What is the intake process at The Landing? 5.2.3 What services are offered at The Landing? 5.2.4 Where is The Landing located? 5.3.1 How does intake work at Bay Area Turning Point? 5.3.2 What services are offered at Bay Area Turning Point? 5.3.3 Where is Bay Area Turning Point located? 5.4.1 What is the intake process for Family Time? 5.4.2 What services are provided at Family Time? 5.4.3 Where is Family Time located? 5.5.1 How does the intake process work at Fort Bend County Women’s Center? 5.5.2 What services are provided at Fort Bend County Women’s Center? 5.5.3 Where is the Fort Bend County Women’s Center located? 5.6.1 What is the intake process at Houston Area Women’s Center? 5.6.2 What services are offered at HAWC? 5.6.3 Where is Houston Area Women’s Shelter located? 5.7.1 What is the intake process at Montgomery County Women’s Center? 5.7.2 What services are offered at Montgomery County Women’s Center? 5.7.3 Where is Montgomery County Women’s Center located? 5.8.1 What is the intake process at The Montrose Center? 5.8.2 What services are offered at The Montrose Center? 5.8.3 Where is Montrose Center located? 6.1.1 What is the intake process at Turning Point Center? 6.1.2 What services are offered at Turning Point Center? 6.1.3 Where is Turning Point Center located? 7.3.1 Where is the Young Adult Resource Center located? 7.4.1 What is the intake process for Stand Up For Kids Houston? 7.4.2 What services are offered at Stand Up For Kids Houston? 7.4.3 Where is Stand Up For Kids located? 7.5.1 What is the intake process at The Pink Giraffe House? 7.5.2 What services are offered at the Pink Giraffe House? 7.5.3 Where is the Pink Giraffe House located? 8.1.1 How does intake work at Search Homeless Services? 8.1.2 What services are provided by Search? 8.1.3 Where is Search Homeless Services located? 8.2.1 What is the intake process at US Veterans Drop-In Center? 8.2.2 What services are offered at US Veterans Drop-In Center? 8.2.3 Where is US Veterans Drop-In Center located? 8.3.1 What is the intake process for Magnificat Houses? 8.3.2 What services are offered at Magnificat Houses? 8.3.3 Where is Magnificat House located? 8.4.1 What is the intake process for St. Joseph’s Clubhouse? 8.4.2 What services are offered at St. Joseph Clubhouse? 8.4.3 Where is St. Joseph Clubhouse located? 8.5.1 What is the intake process at 1960 Hope Center? 8.5.2 What services are offered at 1960 Hope Center? 8.5.3 Where is 1960 Hope Center located? 8.6.1 What is the intake process at Healthcare for the Homeless? 8.6.2 What services are offered at Healthcare for the Homeless? 8.6.3 Where is Healthcare for the Homeless Houston located? 8.7.1 What is the intake process at PATH Program? 8.7.2 What services does the Bristow Center PATH Program offer? 8.7.3 Where is the Bristow Center PATH Program located? 8.8.1 What is the intake process at Compass? 8.8.2 What services are offered at Compass? 8.8.3 Where is Compass located? 8.10.1 What is the intake process at the Beacon? 8.10.2 What services are offered at the Beacon homeless shelter? 8.10.3 Where is the Beacon homeless shelter located? 8.11.1 What is the enrollment process at Bread of Life? 8.11.2 What services does Bread of Life offer? 8.11.3 Where is Bread of Life located? 8.12.1 What is the intake process at Lord of the Streets? 8.12.2 What services are offered at Lord of the Streets? 8.12.3 Where is Lord of the Streets located? 8.13.1 What services are offered at Northwest Assistance Ministries? 8.13.2 Where is Northwest Assistance Ministries located? In the sections below you will find a number of Houston homeless shelters. The shelters are separated into men, women, family and youth shelters. The listings below are men only shelters. Note: Salvation Army Conroe and Modest Family also offer men shelter. You can find more information about each in the next section titled Homeless Women’s Shelter in Houston. Magnificat Houses offers a number of housing options. This particular location on Caroline Street is a men’s shelter. The men’s shelter is located at 3300 Caroline St Houston, TX 77004. Call them at 713.520.0461. Salvation Army is another option for homeless shelters in Houston. This location is a men’s shelter. If you are a first-time resident you must arrive at the Salvation Army by 2 pm to complete intake. If you are a returning resident you must arrive back by 4:30 pm. You must show a state-issued ID. Is there are a cost to stay here? The first 8 nights is free although there is a $10 charge per night after that. Harbor Light Center provides long-term drug and alcohol recovery program. The Red Shield Lodge is an emergency homeless shelter. Meals, access to showers and a safe place to sleep is offered to its residents. Those with substance abuse problems staying at the Red Shield Lodge have the opportunity to enroll in the Recovery Program. To gain access to the Veterans Residental Treatment Program you must be referred by the VA. This program provides shelter to homeless veterans. Salvation Army’s Harbor Light Center is located in Houston’s Near Northside neighborhood. The shelter is less than 10 feet from a Metro Light Rail stop. The address to the shelter is 2407 N. Main St, Houston, TX 77009. For questions regarding any of the services provided here call 713.224.2875. This Star of Hope is a homeless shelter in Houston ‘s downtown. This is a men’s shelter only. What is the intake process at Star of Hope Men’s Shelter? Like many shelters, Star of Hope operates on a first-come, first-serve basis. They accept intake twice a day. The morning intake is from 8 am to 11 am and the afternoon intake begins at 1 pm and ends at 3 pm. If there is extreme weather (flooding, cold weather) Star of Hope can accommodate 100 extra clients. What services are provided here? The Men At Work Program helps clients to build marketable skills for work and then find gainful employment. The program is broken up into two different 90-day phases. In the first phase, the client’s main priority is to simply ready himself for work. The emphasis is Bible study, coursework and relapse prevention. In the second phase, the client is working and receiving further guidance from his Star of Hope caseworker to ensure he continues to succeed. Star of Hope’s Men In Training (M.I.T.) program gives clients the skills they need to work in warehouse operations, culinary arts or gardening. Those who have served in the military have access to the Veterans In Progress (V.I.P.) Program. VIP is a 90-day program that helps veterans connect with the VA Hospital for wellness care, obtain benefits and employment. New Have Program helps men/women diagnosed with mental illness or co-occurring disorders (mental illness + substance abuse) find placement in permanent housing. In addition, the program also helps by providing peer support, classes to effectively manage mental illness/substance abuse, life skills classes and access to social activities. To learn more about New Haven visit the Star of Hope website. New Horizons helps clients transition from transitional living to self-sufficiency. Clients in this program are offered rental and day care subsidies for 18 months. In addition to subsidies, New Horizons offers sobriety support, financial counseling, a budgeting course and Biblical counseling. One year of sobriety, the same job for at least 3 months, living at Star of Hope for at least 10 months, and a referral from Star of Hope case manager. For more information about New Horizons visit the Star of Hope website. Spiritual Recovery Program is a 6-month Christ-centered initiative that helps clients strengthen their relationship with God, learn to manage addiction, develop life/career skills and connect them to long-term housing via the Transitional Living Center. Where is the location of Star of Hope? The shelter is located in downtown Houston, blocks from Minute Maid Park. The address is 1811 Ruiz St, Houston, TX 77002. For more information about Star of Hope visit their website or call them at 713.227.8900. Open Door Mission is a men’s homeless shelter for individuals with substance abuse problems. What is the intake process at Open Door Mission? Open Door Mission offers two programs which offer an intake process. Those programs are Doorway Recovery Center and Convalescent Care Center. Doorway Recover Center (DRC) is a program that provides homeless men with a place to stay and help with substance abuse. The DRC only accepts walk-in appointments, Monday – Wednesday from 6 am to 10 am. You are encouraged to call intake at 713.921.7520 ext 242 prior to visiting Open Door Mission. High-risk psychiatric medications, and opioid maintenance. Convalescent Care Center is a program that provides homeless men who are recently released from the hospital with a safe, secure place to stay and recover from their illness. At the moment Open Door Mission is not accepting applications into their Convalescent Care Center. Despite this, I’ll provide you with information regarding their program. FAX the referral form + H&P + Progress Notes from a physician, OT, PT, and specialty consults. Patients admitted must arrive at the facility no later than 1:00 pm Monday-Wednesday. Tobacco-free, non-smoking campus. No tobacco of any kind, matches or lighters. For more information about the Convalescent Care Center call Open Door Mission at 713.921.7520. Where is Open Door Mission located? Open Door is Mission is in the East End neighborhood, located less than 10 feet from a Metro Light Rail station. The address is 5803 Harrisburg Blvd, Houston, TX 77011. For more information visit their website or call them at 713.921.7520. The following shelters offer a place to stay for women with no children. Should you need a shelter for women and children continue scrolling down in this article. Note: Salvation Army Conroe and Modest Family are the exceptions in this section. They accept both men and women. This Salvation Army shelter offers a safe place to stay for men and women. How does intake work at Salvation Army Conroe? Contact the shelter at 936.760.2440 for more information. What services are offered here at Salvation Army? Short-term financial assistance and social activities are available for low-income families and the elderly. Educational, recreational, and spiritual mentoring programs are provided for youth. The shelter is located in Conroe. The address is 304 Ave E, Conroe, TX 77301. For more information visit their website or call them at 936.760.2440. Modest Family Health Care offers shelter to both single homeless men and women who have a mental illness. The length of stay depends on your circumstance. Those working or seeking employment have a greater chance to stay at the shelter longer. Contact Modest Family at 713.733.2458. Modest Family shelter is located at 1008 Danube St, Houston, TX 77051. Call them at 713.733.2458. Sally’s House is a women’s shelter that is apart of the Salvation Army. The shelter focuses on helping women with substance abuse issues by connecting them to transitional housing. What is the intake process at Sally’s House? You must arrive at Sally’s House at 3 pm for intake. You must also bring an ID. The shelter is a first-come, first-serve basis and only accepts the first 20 women in line. You can stay at Sally’s House for up to 30 days. Children are NOT allowed at the shelter. What services are offered at Sally’s House? Sally’s House assists women with connecting to a transitional housing program. 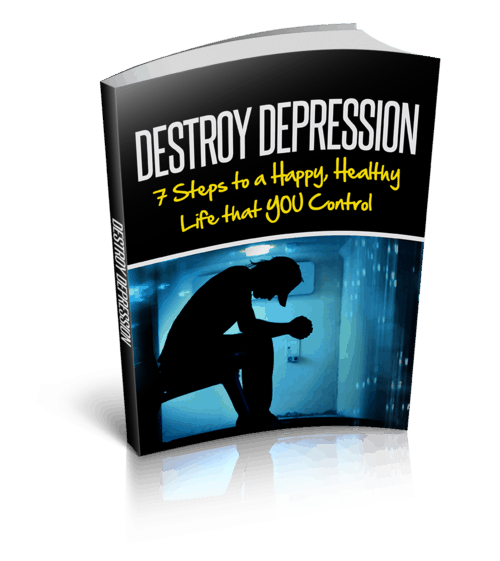 To qualify for this program you must have already completed an alcohol/drug detoxification program. Where is Sally’s House located? The shelter is located directly across the street from Minute Maid Park. The address is 1717 Congress St, Houston, TX 77002. For more information visit their website or call them at 713.223.8889. Bethel Home offers emergency shelter and transitional housing to women faced with homelessness. Where is Bethel Home for Women located? The shelter is located in the Spring Branch neighborhood. The address is 1721 Ronson, Rd Houston, TX 77055. For more information call them at 832.894.9348. Roz House is a transitional housing program that offers shelter to women. How does intake work at Roz House? Contact Roz House at 281.405.0096 to learn about the intake program. What services does Roz House offer? The program does offer 8 women a safe secure place to live. In addition, there is a laundry, computer lab and salon on the Roz House property. Residents receive 24-hour staff supervision with group services occurring between 6 am and 6 pm. Roz House has a 10 pm curfew. Where is Roz House located? The shelter is located in north Houston near the cross streets of Little York and Airline. The address is 11901 Meadow Pass Dr, Houston, TX 77076. For more information visit their website or call 281.405.0096. Below you will find multiple family shelters located in Houston. These shelters accept whole families (men, women, and children). Bay Area Homeless offers shelter to men, women, and families. If you are looking for shelter for your family contact Bay Area Homeless and ask about the Britton-Fuller Family Center. How does intake at Bay Area Homeless work? New clients are accepted between 9 am and 4 pm daily. What services are provided at Bay Area Homeless? Emergency Shelter is offered to single men/women of East Harris County, Baytown, Liberty and Chambers County Area. Employment Services offers a number of resources to help clients transition to self-sufficiency. Some of the services included: transportation to interviews, help in creating resumes, and job readiness training. The Britton-Fuller Family Center offers transitional housing to families facing homelessness. The family center can accommodate up to 6 families with a maximum of 5 people per family. To learn more about the intake for the Britton-Fuller Family Center call the shelter at 281.837.1654. Calls for eligibility screening for this program are welcome 24 hours a day. Where is Bay Area Homeless located? The shelter is located in Baytown. The address to the Bay Area Homeless shelter is 3406 Wisconsin St, Baytown, TX 77522. For more information visit their website or call 281.837.1654. FP offers shelter to families facing homelessness. The shelter can accommodate a maximum of 4 families, therefore this is not an emergency shelter. How does intake work at Family Promise? The Home-to-Home Program offers up to a 90-day stay in the shelter. You can apply online or by calling Family Promise at 936.441.8778. Calls for eligibility are accepted Monday – Friday from 7 am to 5 pm. What services are offered at Family Promise? Family Promise partners with churches to provide families with resources like shelter, transportation, life skills classes, help seeking employment, and money management education. The ROC Program or Reaching Our Children offers support to the youth in the Family Promise shelter. Supportive services include; education, counseling, active engagement and community involvement. The Education Program offers help connecting families to further education, certifications or any training resources to help them become self-sufficient. Aftercare & Outreach Program helps families who with financial support toward an unforeseen crisis. This program even offers assistance to families who are not participants in the Family Promise Program. Here is a listing of more Montgomery County Shelter. Where is Family Promise Montgomery County located? The shelter is located in Conroe. The address is 1207 Thompson Ave, Conroe, TX 77301. For more information visit their website or call the shelter at 936.441.8778. This Humble area shelter offers a safe, secure place to stay for families. How does intake work at Family Promise Humble? Call the Life Skills Center at 281.441.3754 Monday – Friday from 7 am to 5 pm. You will then be scheduled for an intake appointment where you will visit to talk more about your needs. What services are offered at Family Promise of Lake Houston? Families are enrolled into a 90 – 120-day program to help them rebuild their lives and establish self-sufficiency. The Life Skills Center provides families with case management, goal setting, life skills, GED Certificate, parenting and money management. Where is Family Promise of Lake Houston located? The shelter is located in Humble. The address is 111 S. Ave G, Humble, TX 77338. For more information visit their website or call 281.441.3754. Family Promise of Clear Creek helps families transition from homelessness to permanent housing. Services are offered to residents of the following school districts; Clear Creek, Pearland, Alvin, Friendswood, Dickinson or Baycliff. Call the Day Center at 832.932.3963 Monday – Friday to schedule an intake appointment. An adult with at least 1 child under 18 (or pregnant mom). Commit to self-sufficiency and independence. Be willing to participate in communal living with supervision. Be a resident of Clear Creek School District, Pearland, Alvin, Friendswood, Dickinson or Baycliff. Families are assisted with supportive services like help finding employment, transportation, case management, counseling and linkage to permanent housing. Where is Family Promise Clear Creek located? The shelter is located in League City. The address is 1101 S. Egret Bay Blvd, Building B, League City, TX 77573. For more information visit their website, call them at 832.932.3963 or email at info@ccfamilypromise.org. Sarah’s House offers shelter to women and their children in Houston. What is the intake process at Sarah’s House? To check into the shelter give them a call at 713.475.1480. Where is Sarah’s House located? Sarah’s House is located in Pasadena, just of Shaver Street. The address is 711 Perla Road, Pasadena, TX 77502. The telephone number is 713.475.1480. Star of Hope Family is a new facility that offers shelter to families as well as single women. The shelter can house up to 130 families and 160 single women. Families are able to stay for up to 18 months. What is the intake process at Star of Hope Family? Call Star of Hope directly at 713.748.0700 and ask about the Star of Hope Family Center. You can also submit an intake request online. What services are provided at Star of Hope Family? Where is Star of Hope Family located? The shelter is located near the intersection of Reed Road and 288. The address is 2575 Reed Rd, Houston, TX 77051. For more information visit their website or call 713.222.2220. The shelters in this section only offer a place to stay for women and children. Mission of Yahweh provides shelter to women and children in crisis. How does intake work at Mission of Yahweh? Call the shelter at 713.466.4785. What services are offered at Mission of Yahweh? The Mission of Yahweh Resale Shop offers affordable items such as furniture, kitchenware, clothing, and electronics. Women who live at the shelter also help operate the resale shop, hence gaining employment experiences like customer service, stocking, and inventory. The Resale Shop is open Monday – Friday from 10 am to 3 pm. It is open every other Saturday but closed on Sundays. Children’s Programs include academic tutorials, ArtBridge to inspire creativity and a summer Bible School Program. Vist the Mission of Yahweh website for more information. Women’s Programs offer vocational counseling, money management classes, parenting classes, substance abuse help, faith-based counseling and domestic abuse support. Go here for more information. Outreach Services include Christmas gifts for children, Thanksgiving meals and backpack giveaways for students. For more information visit the shelter’s Outreach page. Where is Mission of Yahweh located? The shelter is located near the intersection of Gessner and Tanner in the Fairbanks neighborhood of NW Houston. The address is 10247 Algiers Rd, Houston, TX 77041. For more information visit their website or call 713.466.4785. Santa Maria Hostel is a Houston homeless shelter that offers a safe place to stay for women and children. Women with children, who are pregnant, have a mental illness, substance abuse, or physical health problems are welcome at Santa Maria Hostel. What services does Santa Maria Hostel offer? The Emergency Shelter Program offers a safe, secure place for single women who are at risk of becoming homeless or fleeing a domestic violence situation. For more information visit their website or call the intake line at 713.957.2413 ext 1155. BAMBI (Baby and Mother Bonding Initiative) is a program to support recently incarcerated mothers and their newborn children. Transitional housing is offered for up to 12 months. Referrals must come from the Texas Department of Criminal Justice (TDJC). For more information visit Santa Maira’s website or call them at 713.691.0900. Transitional Housing Program offers assistance for up to 12 months to allow women and their families to establish self-sufficiency. For more information visit the Santa Maria website or email Carmen Jones at Cjones@santamariahostel.org. The Women’s Recovery Residence provides sober supportive housing for women and their children. For intake, information visit their website or call 281.745.8532. Women Intensive & Supportive Residential Program offers inpatient substance abuse treatment for women. For women with children call 713.691.0900. For single women contact 713.957.2413. Visit the Santa Maria Hostel website for more information. The Court Liaison Program coordinates between the client and the courts or Family Protective Services. Santa Maria Hostel is the only women and children’s program in Texas that offers intervention between families and the courts. For more information visit the Santa Maria website. Outpatient Substance Abuse Services are offered via Santa Maria. Group, family and individual sessions are provided to women in the program. For more information on the Santa Maria substance abuse services visit their website. Where is Santa Maria Hostel located? This Houston homeless shelter is located in the Sring Branch neighborhood. The address is 2005 Jacquelyn, Houston, TX 77055. For more information visit the Santa Maria website or call them at 713.957.2413. Salvation Army is another option for homeless shelters in Houston. At this location, shelter is provided to women and their children. What is the intake process at Salvation Army Family Residence? Contact the shelter at 713.650.6530 for more information. What services are offered at Salvation Army? Women at the shelter are offered services like counseling, cooking/nutrition classes, money management, life skills and parenting courses. The children at the shelter have access to attend field trips, parties, an educational summer day camp and other resources to give them a sense of normalcy. Salvation Army Home Sweet Home Program helps women transition from the shelter to permanent housing. Salvation Army also connects women to the United Way THRIVE Program. THRIVE provides women with connections to employers, community colleges, and financial institutions to help them become fully independent and capable of self-sufficiency. Where is Salvation Army located? This women’s shelter is located near the intersection of McGowen and Crawford in Houston’s Midtown neighborhood. The address is 1603 McGowen St, Houston, TX 77004. For more information, you can visit their website or call them at 713.650.6530. Madge Bush Transitional Living Center offers shelter to women with children who are facing homelessness. What are the requirements for Madge Bush? Client is a homeless female at least 22 years of age with one or two children. Applicant must provide documentation of homelessness from an emergency shelter. Has to have 12 months of documented sobriety from an agency. Possess a state-issued driver’s license or identification card. Applicant must have the ability to live independently. What is the intake process for Madge Bush? Contact Donna Lucas at 713.652.3830 or email her at mbtclucas@gmail.com for information on admissions. If you cannot reach anyone via the information above call the main number 832.541.1986. To start the process you can complete this intake application. Other items needed for intake include; valid ID, birth certificates and social security cards for all family members. Where is Madge Bush Transition Living Center located? The shelter is located in the 3rd Ward neighborhood. The address is 3410 Drew St, Houston, TX 77004. For more information visit their website or call 832.541.1986. The shelters in this section focus those who are survivors of domestic or sexual abuse. Most are designated for women and children, although some may accept homosexual males fleeing violence as well. Typically these only provide shelter to survivors of abuse, although if you’ve never experienced abuse and need shelter, call try to call these shelters anyway. The Bridge offers emergency shelter for women (and children) who have experienced domestic or sexual violence. What is the intake process at Bridge Over Troubled Waters? You can contact the Bridge 24-hours a day by dialing them at 713.473.2801. You can also email them with questions at thebridge@tbotw.org. What services are offered at the Bridge? The Residental and Long-term Housing Programs offer a number of housing options. The 100-bed emergency shelter takes in women and children who face homelessness. Permanent housing is also offered to women with children and a diagnosis of mental illness or a physical disability. Destiny Village is the largest permanent housing complex which has 29 units. There are 12 other units throughout the community they offer subsidized rent to clients. Transitional Housing Program offers shelter to single women. Rent is subsidized here for up to two years. Children’s Services offer wrap-around support to the entire family. In addition to protecting women, the Bridge also helps children by providing on-site childcare at the shelter. If needed the Bridge can connect children with therapy. Should a family need to stay at the shelter long-term there is even assistance enrolling the child in a nearby school. Advocacy and Counseling services provide support in the form of crisis intervention, individual counseling, employment assistance, legal advice and referrals to community resources. Where is the Bridge Over Troubled Waters located? The shelter is located in Pasadena, at the intersection of Allen-Genoa and Fairmont Parkway. The address is 3811 Allen-Genoa Rd, Pasadena, TX 77504. For more information visit their website or call them at 713.472.0753. The Landing is a day center for survivors of human trafficking who are either forced into sexual or labor exploitation. How can The Landing help? The Landing is located in SW Houston which is a hotspot for human trafficking and prostitution. Many safe houses are kept secret, therefore, increasing the difficulty of someone escaping from their abductors. The Landing offers a number of services to survivors of human trafficking in a safe, secure office building. This location was strategically selected to deter pimps from perusing survivors and to serve as a more discreet location for anyone seeking help. What is the intake process at The Landing? Stop by the day center anytime Monday – Friday from 10 am to 4 pm. For more information visit their website or call them at 713.766.1111. What services are offered at The Landing? Where is The Landing located? This day center is located in the Alief neighborhood. The closest major intersection is Bissonnet and Beltway. The address is 9894 Bissonnet Street #605, Houston, TX 77036. Bay Area Turning Point offers shelter to men, women, and children who are the victims of domestic or sexual assault. How does intake work at Bay Area Turning Point? Walk-ins are welcome Monday, Tuesday, Friday from 8:30am-5:30 pm. On Wednesdays and Thursdays, walk-in hours are 8:30am-8:30 pm. Prior to visiting it’s best to call the shelter at 281.286.2525. What services are offered at Bay Area Turning Point? Where is Bay Area Turning Point located? The shelter is located in Webster, near the intersection of NASA Road 1 and Highway 3. The address is 210 S Walnut Street, Webster, TX 77598. For more information visit their website or call them at 281.286.2525. Family Time is a 24-hour crisis helpline and emergency shelter that provides help to women and children who are fleeing a crisis situation. What is the intake process for Family Time? Contact Family Time at 281446.2615. What services are provided at Family Time? The Door is the name of the Family Time emergency shelter. The Door can hold up to 38 clients. The Door will assist families with counseling, meals, a safe place to stay and assistance finding permanent housing. Should you need emergency shelter call Family Time at 281.446.2615. Lambert Counseling Center offers counseling services to individuals, families, couples, and teens. For more information about the counseling center and its services visit the Family Time website. Family Violence services are also offered. Services include 24-hour telephone crisis intervention, an emergency shelter, someone to accompany you to the hospital or help you with police and court proceedings. Group counseling, basic needs, and Crime Victim’s Compensation is also something Family Time can assist you with. Family Time Thrift Shop is owned and operated by Family Time. Families at the shelter are provided vouchers so that they can obtain clothes and other basic necessities like business attire for job interviews. The thrift shop also accepts donations. If you would like to make a donation or learn more about the thrift shop contact them at 281.354.5590. The address is 23874 Loop 494 Porter, TX 77365. Business hours for the thrift shop are M – F 10:0am to 4:00 pm. Saturdays and Sundays the thrift shop is open 9:00 am to 2:00 pm. Where is Family Time located? The shelter is located in Humble, near the intersection of Old Humble Rd and Will Clayton. The address is 1203 S. Houston Ave, Humble, TX 77338. For more information visit their website or call them at 281.446.2615. The Women’s Center offers shelter to women and children facing homelessness or fleeing domestic or sexual abuse. How does the intake process work at Fort Bend County Women’s Center? 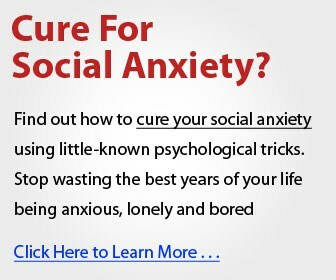 Simply call the 24-hour crisis line at 281.342.4357. What services are provided at Fort Bend County Women’s Center? The Domestic Violence Program offers an Emergency Shelter as well as a Non-Residential Program. The emergency program offers counseling, case management, transportation assistance, housing assistance and career development support. The Non-Residental Program provides essentially the same services although clients do not stay at the shelter. The Sexual Assault Program offers essentially the same services as the Domestic Violence Program. Housing Assistance is offered at the Fort Bend Women’s Center as well. The shelter has the capacity to screen clients for eligibility into either the Rapid Rehousing Program or Wellness & Stability Program. You can find out more about both of these programs here. PennyWise Resale Stores located in Richmond, Stafford, Katy and Missouri City play a key role in helping domestic abuse survivors regain their footing in life. To find a resale shop near you visit the Women’s Center website. Where is the Fort Bend County Women’s Center located? The shelter is located in Richmond, Texas. The mailing address is PO Box 183, Richmond, TX 77406. You will likely have to contact the shelter for the physical address. For more information visit their website or call them at 281.342.4357. Houston Area Women’s Shelter or HAWC offers shelter to women and children who were victims of domestic or sexual abuse. What is the intake process at Houston Area Women’s Center? Call the shelter to learn about availability. You can reach them at either the Domestic Violence helpline 713.528.2121 or the Sexual Assault helpline at 713.528.7273. What services are offered at HAWC? The shelter is offered to women and their children who are fleeing domestic or sexual abuse. Clients have access to individual and group therapy. The Career Development Program helps families to gain employment and self-sufficiency. Parenting and education classes are provided. Houston Independent School District is present at the shelter to ensure children are properly educated. The Children’s Enrichment Program provides children with a sense of normalcy offering access to field trips, summer camps, and special events. Should you need shelter call HAWC at the Domestic Violence helpline 713.528.2121 or the Sexual Assault helpline 713.528.7273. 24-hour Helplines offer guidance to families affected by domestic abuse (713.528.2121) or sexual abuse (713.528.7273). You can also contact either number to have someone from HAWC accompany you to the hospital if you have experienced domestic or sexual abuse. Advocates are available to meet your 24-hours a day. Counseling services are provided to survivors of domestic violence, sexual assault, childhood sexual abuse and caregivers of a children survivors of sexual abuse. Group and individual counseling is also offered. Legal Advocacy is offered in the form of expert testimony in civil and criminal cases. HAWC can also accompany you to law enforcement and criminal justice proceedings. Children’s Court Services are offered to children and non-offending family members to prepare for court. These services are FREE of charge. Call HAWC at 713.528.2121 for more information. Where is Houston Area Women’s Shelter located? HAWC is near the intersection of Waugh and West Dallas Street in the Montrose neighborhood. The address is 1010 Waugh Dr, Houston, TX 77019. For more information visit their website or call them at 713.528.2121. The MCWC offers shelter to women and children who have experienced domestic or sexual abuse. What is the intake process at Montgomery County Women’s Center? Call the Montgomery County Women’s Center 24-hours a day at 936.441.7273. What services are offered at Montgomery County Women’s Center? The shelter offers a safe, secure place to stay for both women and their children. Families can stay at the shelter for up to 30 days. Counseling and Support Groups are also offered. To see the schedule of support groups for adults and teens visit the MCWC website. Legal Services include help obtaining protective orders, divorces, suits affecting the parent/child relationship and other family law matters. MCWC offers free legal advice to victims of domestic or sexual assault. Advocacy Services see that survivors of domestic or sexual abuse are supported when going to the hospital or any medical appointment related to abuse. Where is Montgomery County Women’s Center located? The shelter is located in Conroe. The address is 1401 Airport Rd, Conroe, TX 77301. For more information visit their website or call them at 936.441.7273. The Montrose Center offers help finding shelters for anyone fleeing domestic or sexual abuse. What is the intake process at The Montrose Center? Call the Montrose Center helpline at 713.529.3211. What services are offered at The Montrose Center? Emergency Shelter is offered on a short-term basis. The shelter is offered to anyone fleeing an abusive relationship. Those in the emergency shelter also have access to the Rapid Rehousing Program. Counseling is also offered at the Montrose Counseling Center. For more information on the services provided visit their website. Where is Montrose Center located? The Montrose Center is located in the Montrose neighborhood. The address is 401 Branard St, Houston, TX 77006. For more information visit their website or call 713.529.3211. Shelters in this section offer a safe place to stay for older adults. Turning Point Center offers long-term shelter to homeless men/women aged 50 and older. What is the intake process at Turning Point Center? The first step in the admissions process is calling TPC at 713.957.0099 and asking for the “intake department”. Inform intake of your desire to stay at TPC and they will let you know when you can visit the center for an intake appointment. Typically you can walk-in for an intake appointment any day Monday through Friday as long as you arrive before 2 pm. Despite this, you are advised to call before traveling to TPC. What services are offered at Turning Point Center? Housing is offered in the form of emergency shelter and transitional housing to adults 50 years and older. Meals are provided three times a day to residents. Clothing is offered to residents at Turning Point Center. Counseling services are offered to residents needing mental health counseling, substance abuse, anger management or group counseling. TPC helps residents to secure documents like IDs, Social Security cards, birth certificates and other basic needs documents. TPC can also connect its clients to benefits that they may qualify for. Those services include SSI, food stamps, Medicare, Medicaid, Harris Health/Gold Card and more. Learn more about the services offered at Turing Point Center by going here. Where is Turning Point Center located? The center is located in the Spring Branch area, near the corner of Long Point and Wirt Road. The address is 1701 Jacquelyn, Houston, TX 77055. For more information visit their website or call them at 713.957.0099. Houston has two homeless shelters specifically geared toward helping young adults/children (18 – 25 and newborn to 6 years for Casa de esperanza ). One is Covenant House, the other is Salvation Army. Continue reading to learn more about both. This is a Houston housing community for foster children. Contact Casa de Esperanza at 713.529.0639 or email them to learn more about intake. What services are offered at Casa de Esperanza? A Residential Program – Any child facing abuse, neglect or homelessness from birth to 6 years old could qualify for this program. Casa de Esperanza will house the child until a safe, permanent home can be found. Family Support Services – These include Parent Support Services which provide the families with resources needed to live a self sufficient life. The Aftercare and Outreach Program ensures that there is a smooth transition from Casa de Esperanza to the child’s new home. This program monitors the family reunification process. The Adoption Program will help families obtain license to adopt when reunification with the birth family is no longer an option. Lastly, the Post-Adoption Program offers support, training and guidance to families who have adopted via Casa de Esperanza. Where is Casa de Esperanza located? They have an office located near NRG Stadium. the address is 2911 Corder, Building A, Houston, TX 77054. You can call them at 713.529.0639 or email at casa@casahope.org. Covenant House offers shelter to homeless youth ages 18 – 24. What is the Covenant House intake process? Call the shelter at 713.523.2231. Intake hours take place from 3 pm to 10 pm. After 3 pm call Covenant House at 713.630.5601. What services are offered at Covenant House? The Crisis Shelter welcomes both young men and women aged 18-24. Young parents with children up to the age of 5 are also admitted to the crisis shelter. While at the crisis shelter a case manager will assist you to come up with a plan to ensure you get back on your feet and remain self-sufficient. The Drop-In-Center is a day program for young adults aged 18-24. Clients have access to lunch, laundry, clothing, showers and medical care via their clinic. The day program also assists clients to transition into a Covenant House residential program. The Rights of Passage Program provides supportive, transitional housing to young adults for up to two years. During this time clients are expected to attend school or a vocational training program. A case manager follows up with the young adult throughout the duration of the program. Covenant House also helps clients connect to the Rapid Rehousing Program. PEP Talk is a partnership between Covenant House, locals schools, community centers, and churches. The goal is to speak with “at risk” youth of the dangers of street life. Resources and support are also offered to ensure that these individuals do not resort to living on the streets. The FREE Medical clinic offers homeless youth services like primary care, mental health services, substance abuse and more. Education and Career Planning help to provide young adults with the skills and knowledge needed to thrive in the workforce. For more information regarding any of the services above visit the Covenant House website. Where is Covenant House located? The shelter is located in the Montrose neighborhood. The address is 1111 Lovett Blvd, Houston, TX 77006. For more information visit their website or call 713.523.2231. The Young Adult Resource Center (YARC) connects homeless young adults, ages 18 to 25, to housing and other mainstream supports while providing respite, emergency meals, job coaching, recovery coaching, and non-traditional educational support, tutoring, and re-engagement. Where is the Young Adult Resource Center located? The YARC is located in the Midtown neighborhood. The address is 1621 McGowen Street Houston, TX 77004. For more information visit their website or call 713.658.9205. Stand Up For Kids Houston is a drop-in center for young adults up to the age of 25 years old. The primary goal is to help homeless young adults by providing emotional support and resources to help them establish self-sufficiency. What is the intake process for Stand Up For Kids Houston? For more information you are encouraged to visit their website, call them at 706.389.4264 or email them at houston@standupforkids.org. What services are offered at Stand Up For Kids Houston? SUFKH helps homeless young adults with clothing, food, and toiletries. They also offer help creating resumes, completing a job or financial aid applications, provide vouchers for ID/Birth Certificates and more. In addition to those services, SUFKH has a street outreach program for the Montrose neighborhood. They also have a drop-in center for young adults up to the age of 25. We will provide you with more information about these programs in the next section. Where is Stand Up For Kids located? The drop-in center is open on Friday nights from 6:30 pm to 8:30 pm and is located in the Montrose neighborhood. The closest major intersection is West Alabama and Dunlavy. The address is 1827 West Alabama Street, Houston, TX 77098. The street outreach takes place each Tuesday night from 6:30 pm to 7:30 pm. The meeting location is the Montrose area near the corner of Monstrose and Lovett Blvd. You can also contact SUFKH on their Twitter and Facebook page. The PGH is a day center for homeless youth. The day center offers a number of services including case management, mentoring, basic needs items, and emotional support. What is the intake process at The Pink Giraffe House? Teens can stop by the PGH any day Tuesday through Friday from 11:00 am to 3:00 pm. For more information, you can also call them at 713.857.1404. What services are offered at the Pink Giraffe House? The Mentor Program matches homeless youth with professional, compassionate adults. Mentor help young adults by offering perspectives on life, listing to youth problems, offering solutions and lastly helping them to set realistic goals that they can achieve. Street Outreach meets homeless youth where they are on offers things like socks, food, toiletries, referrals and emotional support. The Drop-in Center is essentially a day center for homeless youth. Here, clients can stop by and get help in a number of ways. Basic needs like food, toiletries, showers and laundry services are offered. The youth can have mail forwarded to PGH. Supportive services like counseling, help connecting to permanent housing and a playroom is offered to give clients a place to unwind. Case Management is provided to young adults to help them connect with benefits and any long-term services they may need. Home Host Program connects PGH clients with volunteers who open up their own homes for the homeless youth to stay. The goal is to help homeless youth by supporting them emotionally, providing life guidance and ultimately helping them become self-sufficient. To learn more about The Pink Giraffe House Home Host Program go here. Where is the Pink Giraffe House located? The PGH is located in the Montrose neighborhood. The closest major intersection is Taft and Fairview. The address is 2304 Mason Street, Houston, TX 77006. For more information visit their website or call them at 713.857.1404. The following agencies do not offer an overnight shelter. Instead, these providers offer help in the form of day centers, food, housing referrals and assistance obtaining basic needs like ID and employment. Search Homeless Services is a day center that helps homeless men/women with resources to help them get off the streets and become self-sufficient. This is NOT a homeless shelter. How does intake work at Search Homeless Services? Call Search at 713.739.7752 or stop by 2015 Congress during business hours 8 am to 3 pm. What services are provided by Search? Search Housing services help to take clients off the streets and place them into stable housing. The “Housing First” approach aims to help clients find a secure home and then offer assistance connecting to benefits to increase the likelihood of continued self-sufficiency. Community Outreach services take workers from the Search hallways to alleyways. Outreach workers meet clients in their own environments to offer on-the-spot assistance. This can come in the form of food, clothing, resources or simple support. Child Day Care is offered to homeless adults. The official name of this program is called The House of Tiny Treasures. To qualify children must be 2 to 5 years old. There is a House of Tiny Treasures location at the Fannin Search and now open in Third Ward as well. The address for the Third Ward location is 2323 Francis Street. Call them at 713.929.6963. Where is Search Homeless Services located? Search is now located just east of Minute Maid Park in downtown Houston. The address is 2015 Congress Avenue Houston, TX 77002. For more information visit their website or call them at 713.739.7752. The Veterans Drop-In Center offers supportive services to homeless Houston veterans. What is the intake process at US Veterans Drop-In Center? Stop by the drop-in center any day Monday through Friday from 8 am to 4 pm. Also feel free to call them at 713.794.7533. What services are offered at US Veterans Drop-In Center? For more information on each of these programs go here. Where is US Veterans Drop-In Center located? The drop-in center is in the heart of downtown Houston, just two blocks down from Minute Maid Park. The address is 1418 Preston Street, Houston, TX 77002. For more information visit the VA website or call them at 713-794-7533. Magnificat Houses offers many resources to homeless men/women in Houston. Earlier in this article, we introduced you to their men’s shelter at 3300 Caroline and Myriam’s Hostel, the women’s shelter, at 2009 Congress. In this section, we will focus more on the other services offered at Magnificat Houses. What is the intake process for Magnificat Houses? To take advantage of any of the services below you need to be a Magnificat Houses client. To learn more about becoming a client call them at 713.520.0461. What services are offered at Magnificat Houses? Emergency shelters for men and women are offered at Magnificat Houses. For more information about the intake process for either shelter tap one of the links above. The Loaves & Fishes soup kitchen offers hot meals 6 days a week (Tuesday – Sunday, closed on Mondays). The address is 2009 Congress Street at the corner of Congress and Chartres. The lunch line begins at 10:30 am and they begin serving lunch at 11 am. Medical Servies like access to annual assessments/flu shots, help to find doctors, transportation to clinic appointments and more are offered to clients living at Magnificat House properties. Employment Programs offer services like career coaching, resume preparation, GED preparation, on-campus jobs and job placement assistance. Training Programs provide clients with the skills to seek employment outside of the Magnificat Houses program. The Moran Center which prepares clients for home rehabilitation or restoration jobs. Clients develop their skills via Magnificat House woodshops and metalworking facilities. Magnificat Houses has two thrift stores where residents can develop retail experience. The Mustard Seed thrift store is located in Midtown at 1410 Elgin Street, Houston, TX 77004. Busines hours are Tuesday through Saturday. Contact The Mustard Seed by calling 713.524.7333. For those located near the North Central neighborhood, you can visit The Anawim Thrift Store. Its address is 2102 Common Street, Houston, TX 77009. Business hours are Tuesday through Saturday from 10 am to 4 pm. Call them at 832.832.4196. St. Joseph Clubhouse offers meaningful work, memberships and a sense of belonging to individuals with a diagnosis of mental illness. The Dona Marie House is a six-acre Clubhouse where clients learn about garden cultivation and breeding animals. The clubhouse is located in SE Houston at the address of 1802 Forest Oaks Dr. Houston, TX 77017. Where is Magnificat House located? The main office is located at 3300 Caroline. This is also the intake location for men’s emergency shelter. For women seeking emergency shelter visit 2009 Congress Street. For more information about either shelter or the services offered via Magnificat Houses visit their website or call them at 713.520.0461. The St. Joseph Clubhouse offers a number of services for individuals diagnosed with mental illness. The primary benefits of a membership with St. Josephs’s Clubhouse are access employment opportunities, volunteer work, housing referrals and a sense of belonging. Note: St. Joseph Clubhouse is apart of the Magnificat House network. What is the intake process for St. Joseph’s Clubhouse? You must become a member to take advantage of the resources offered. To become a member you must visit the clubhouse at 3307 Austin Street any day Monday through Friday. Be sure to bring your ID and paperwork from your doctor stating your mental health diagnosis. You’ll then tour the clubhouse and speak with an intake worker about resources offered. Once you become eligible you will receive a St. Joseph membership ID and you’ll get a personal guide through your first few days as a member. What services are offered at St. Joseph Clubhouse? The clubhouse offers volunteer opportunities. Members can take part in a number of roles including admissions, social media marketing, tutoring other members, cooking meals or working in the community garden. The Transitional Employment Program connects members to jobs outside of St. Joseph Clubhouse. Members do not have to apply or interview for these positions, because you are guaranteed the position. Jobs are part-time (20 hours) and last up to 6 months. Other services include help navigating social services, transportation help, computer education, GED preparation and more. Where is St. Joseph Clubhouse located? The clubhouse is located in the Midtown neighborhood. The address is 3307 Austin Street, Houston, TX 77004. For more information visit their website or call them at 713.523.5958. 1960 Hope Center is a day center located on 1960 on Houston’s far north side. What is the intake process at 1960 Hope Center? The Hope Center is open Monday through Friday from 9:00 am to 3:00 pm. Stop by during these hours or call the center directly at 832.965.5511 for more information. What services are offered at 1960 Hope Center? The Hope Center offers a number of services. Some of those services include a day shelter, hot showers, laundry services, lunch, counseling, mail service, resume assistance, support groups and more. Where is 1960 Hope Center located? The Hope Center is located on the far north side off 1960. The address is 744 Cypress Creek Parkway, Suite B, Houston, TX 77090. For more information visit their website or call them at 832.965.5511. Healthcare for the Homeless (HHH) provides medical care for Houston’s homeless men and women. What is the intake process at Healthcare for the Homeless? To schedule, an appointment use the online form or call HHH at 713.268.6000. What services are offered at Healthcare for the Homeless? Medical services offered are things like primary care, psychiatry, STD testing, well women’s care, vision assistance, podiatry, pharmacy and more. Dental services are offered free of charge. The services offered through Healthcare for the Homeless are exams, x-rays, cleanings, periodontal therapy, cancer screenings, extractions, root canals, crowns and bridges, dentures. For more information regarding dental work call HHH at 713.286.6140. Transportation is offered in the form of the Project Access Bus. This bus service helps Houston’s homeless population get to shelters, medical appointments and social service agencies. The Health & Whole Program offers help to homeless women who have survived sexual abuse. Help includes health wellness care, health education, trauma-specific care (sexual abuse, PTSD or addiction counseling), Healing through the Arts Program, Peer Support, and Employment Counseling. For more information go here. HOMES Clinic or Houston Outreach Medicine Education and Social Services Clinic is a student-run clinic. Medical students from Baylor College, University of Texas and the University of Houston operate the clinic. The clinic was created due to the demand for homeless health care on Sundays. Prior to the clinic opening, there were no healthcare options (aside from ER) for homeless individuals on Sundays. The clinic is open on Sundays from 10 am to 2 pm. The address is 1212 Prairie Street and the phone number is 713.220.9730. Where is Healthcare for the Homeless Houston located? HHH is located in downtown Houston. The closest major intersection is Caroline and Pierce Street. The address is 1934 Caroline Street, Houston, TX 77002. For more information visit their website or call them at 713.286.6000. The PATH Program is a day center for homeless individuals with a mental health diagnosis. PATH is a part of Harris Center (formerly MHMRA of Harris County). Note: Harris Center is the mental health authority in Harris County. They can help you with psychiatric or counseling services no matter your income or a lack of health insurance. What is the intake process at PATH Program? PATH is open Monday – Friday from 7 am to 4 pm, however, this is a first-come, first-serve process. You are encouraged to arrive at PATH around 6:30 am for a better chance of being seen. PATH typically takes 3 – 5 new clients per day which demonstrates how important it is to arrive early. What services does the Bristow Center PATH Program offer? Where is the Bristow Center PATH Program located? The PATH Program is located in the Midtown neighborhood. The closest major intersection is Caroline and McGowen. The address is 2627 Caroline St, Houston, TX 77004. For more information call PATH at 713.970.7413 or call the Harris Center main helpline at 713.970.7000 and they will be able to answer any questions. Compass offers case management services and helps to obtain Harris Health/Gold Card to homeless men/women in Houston. What is the intake process at Compass? Compass is open Monday through Friday from 9 am to 2 pm. Services (case management and Gold Card help) are offered on a first-come, first-serve basis. Compass only sees the first 10 clients per day, therefore, you are advised to arrive as early as possible. Possibly 7 am? Gold Card assistance occurs Monday – Friday. First 10 people, so arrive early. Case Management assistance occurs Monday – Thursday. Walk-ins for Case Management is not offered on Fridays. What services are offered at Compass? Case management, help to obtain a Gold Card, vocational counseling (JobPoints Project), clothing and haircut vouchers, reading glasses, telephone use, community voice-mail, and mail, offers bus tickets for the Project Access homeless bus. The day center is located in downtown Houston. It is housed in the same building as The Beacon. The address is 1212 Prairie St, Houston, TX 77002. For more information visit their website or call them at 713-229-8319. The bus operates Monday through Friday from 7 am to 5 pm. The Beacon is a day program that offers a number of resources to homeless men and women in Houston. This is NOT an overnight shelter. What is the intake process at the Beacon? 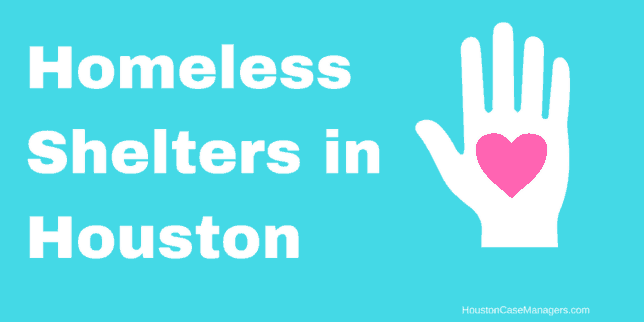 The shelter is not open daily, therefore, its best to either call them at 713.220.9737 or email at info@beaconhomeless.org for hours of operation. The Day Center is open Monday, Thursday, Friday from 7 am to 2 pm. The shelter can only accommodate a limited number of clients which is why it’s important to arrive at least an hour prior to the center opening. What services are offered at the Beacon homeless shelter? At the Day Center services like a hot lunch, access to showers and laundry services are offered. The services are offered Monday, Thursday, and Friday. The Day Center is open from 7 am to 2 pm. Bridgid’s Hope is a program for women 35 and older who are recently released from prison. The goal of the program is to help women transition from the criminal justice system to self-sufficiency. Linkage to housing, a mentor, and case management are provided to clients in this program. For eligibility requirements visit the Beacon website. Call 713-590-3318 for more information on Bridgid’s Hope Program. Help obtaining IDs, resolving traffic warrants, and birth certificate problems. Assistance with Social Security, VA Benefits, and elder law. Housing Law regarding disputes between you and your landlord or foreclosure/title disputes. Employment/Labor Law regarding criminal history corrections, wills, and consumer law. For legal assistance, you must visit the Beacon on Mondays and Fridays and arrive at 8 am. Preferably sooner. If you are staying at a Houston area shelter your case manager can provide a referral. For more information call the Beacon Law at 713.220.9780. The shelter is partnered with The Way Home Program. This is a housing program helps clients gain access to permanent housing. Beacon Houston is one of the few local sites that offer Coordinated Access. The Coordinated Access assessment is used to determine eligibility into The Way Home Program. For more information on the housing program call the Beacon at 713-220-9717. Where is the Beacon homeless shelter located? The Beacon is located in the heart of downtown Houston. The address is 1212 Prairie St, Houston, TX 77002. For more information visit their website or call them at 713.220.9737. Bread of Life helps Houston’s homeless by connecting men/women to resources like hot means and permanent housing. What is the enrollment process at Bread of Life? For more about Bread of Life services contact them at 832.548.0284. What services does Bread of Life offer? Help to find Affordable Housing. Bread of Life owns and operates 3 different housing complexes; Knowles-Temenos Place, Temenos II and Temenos III. Health & Human Services include The Arts Project, Food Services, Life Skills, a Literacy Program and Medical & Health Services. Disaster Relief is provided in the form of case management, a Distribution Center, My Harvey Needs and Mobile Tool Bank. Where is Bread of Life located? The shelter is located in the Midtown neighborhood. The address is 2019 Crawford St, Houston, TX 77002. For more information visit their website or call them at 832.548.0284. You can also email them at info@breadoflifeinc.org. Lord of the Streets is a day center that offers multiple resources to homeless men and women. What is the intake process at Lord of the Streets? Contact the shelter at 713.526.0311 for more information. Operation hours are Monday through Thursday from 8 am to 2 pm. Fridays they are open from 8 am to 12 noon. What services are offered at Lord of the Streets? Basic needs like a day shelter, food/water, food stamps and a valid ID if needed. Vision care is provided at the shelter. LOTS has partnered with the University of Houston School of Optometry to offer clients everything from loaner glasses, eye exams and vouchers for glasses. The Clothing and Hygiene Center provides clothes and toiletries to Houston’s homeless population. Mail services are provided at the shelter. Clients can use LOTS 3401 Fannin address to receive mail from various government agencies and medical providers. The Harris Health Clinic located at LOTS offers medical services like doctors, nurses, counselors, podiatrist, dentist, and pharmacist. LOTS will also help clients to apply for Harris Health/Gold Card at the clinic. Note: anyone who is homeless (has no mailing address) must have their Harris Health/Gold Card certified at a homeless shelter like LOTS. Food Assistance is provided in the form of helping clients apply for SNAP benefits. LOTS has a partnership with the Houston Food Bank. Other services include homeless letters, help to obtain ID or a birth certificate, free notary services, Project Access Bus tickets, Metro Bus Passes for a verifiable appointment and also bus tickets for a family crisis. Where is Lord of the Streets located? LOTS is located in the Midtown neighborhood. The address is 3401 Fannin St, Houston, TX 77004. For more information visit their website, call them at 713.526.0311 or email them at info@LOTShouston.org. Northwest Assistance Ministries is not a shelter although they can help those who are facing homelessness find housing. What services are offered at Northwest Assistance Ministries? The Interfaith Homeless Network (IHN) assists homeless families with household items like cleaning items, move-in kits, limited financial assistance or transportation expenses. For more information about the IHN contact Karen Weakly at 281.885.4650 or email her at kweakly@namonline.org. The Way Home is a program that helps to determine an individuals eligibility for local housing programs. NAM is one of the partner agencies that assist clients with completing a The Way Home assessment which will then inform them of the housing options available to them. 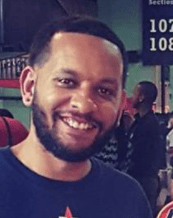 NAM Coordinated Access Assessor, Marcus Ferdinand can provide more information about The Way Home. Dial him at 281.855.4567. Housing Services help families in Houston facing homelessness with financial assistance for rent/mortgage, finding affordable housing, case management and referrals for additional needs. For more information on the program call Housing Services at 281.855.4531. The Family Violence Center offers a 24-hour crisis line, counseling, emergency shelter and other resources for women and children fleeing domestic violence. For more information visit the NAM website or call the Family Violence Hotline at 281.855.4673. Where is Northwest Assistance Ministries located? The agency is located in the Cypress neighborhood. The address is 15555 Kuykendahl Rd, Houston, TX 77090. For more information visit their website or call them at 281.885.4575. Coalition for the Homeless put together this printable Houston Homeless Shelter listing. Print this listing to share with clients, co-workers or anyone else who may need it. If you have some monthly income (SSI, parttime job, etc) but not enough to afford an apartment a Rooming House is a good alternative. Rooming houses start around $60/week and don’t require the background checks of an apartment. Essentially if you have step income and there’s availability there is a good chance a rooming house landlord will rent to you. 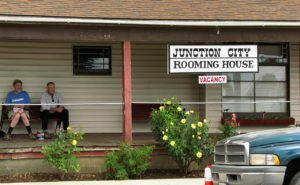 To find Rooming Houses in Houston go here. Note: Many rooming houses only accept adults. There are some that will accept children, although these are rare. There are some people who disregard the importance of homeless shelters. They simply refuse to even consider the thought of staying at a shelter. While I myself have never stayed at a homeless shelter, I do recognize the support that they can offer. Searching for basic needs like food, a replacement ID, and employment require time and energy. A homeless shelter saves you both. A benefit of staying in a homeless shelter is they can bring all these resources to you. You don’t have to spend your whole day chasing one resource. As you can see from above there are many homeless shelters who will help you with permanent housing. You have to be patient though because no shelter will connect you to your own apartment on day one. For those serious about finding permanent housing seek out the shelters who offer Coordinated Access. This assessment is the gateway into The Way Home Program which offers permanent housing. Shelters aren’t always pretty, but for some, it’s the best option. Its also a step forward. Commit to these small steps and little by little you will get ahead, but not necessarily in fast spurts. Have you ever stayed in a homeless shelter? What was your experience? Tell us about it in the comments.